Ok, so I realise its actually 5:00AM April 2nd. But I haven't been asleep yet so I'm still going to post my A topic. I'll do the B topic later in the day. I like Magic Users in theory, but on the table I have alot of problems with them. But anyway, I think there should be some dedicated sub classes for things like Necromancers, Alchemists, Illusionists, RuneSmiths, and Animators. I see the Animator class as the primary builders of magical constructs, in fact that's their main ability, with much less access to traditional spells then other Wizard types. 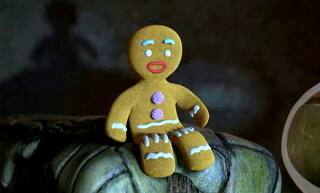 Animators start with the basic spell -'Animate Object' and the ability to animate two types of basic Golems: the Doll Golem and the dreaded Cookie Golem. At lvl 1 the Animator can create one lesser Golem as well, the Staw Golem, a very weak and flammable man shaped bundle of straw. At lvl 2 the Animator gains the abilty to construct Rope Golems, they are very weak as well but are good at entangling and strangling opponents. Rope Golems are made of a single rope looped and tied several times to make a humanoid shape. At lvl 3 the Animator can create Leather Golems, again they are fairly weak but are resistant to bludgeoning damage, the slap of their leathery arms can pack quite a sting. They are created from thick strips of leather stitched together. At lvl 4 the Animator learns how to build Wood Golems. The Wood Golem's punch is quite powerful, but it is quite slow and ungraceful compared to the other lesser Golems. At lvl 5 the Animator can build the ScareCrow Golem. The ScareCrow is a decently fast and powerful construct, built from an amalgamation of the materials used for the other lesser Golems. 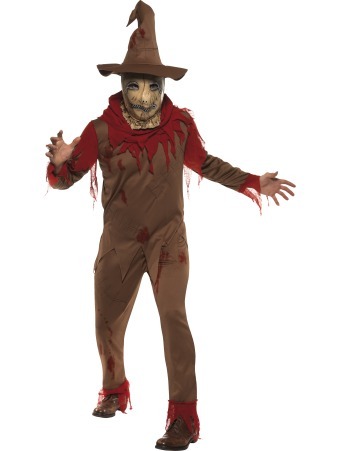 The ScareCrow is fairly intelligent and devious for a construct, they have a reputation for being disobedient to their masters. There are also rumors of other types of Golems which Animators can create. I actually ran this class once several years ago, it was a big hit. Not sure if I like how the Golem building progression works, I will get back to this class and Wizards in general at some point. I think this is a cool subclass. This is the sort of thing mages do a lot in media, but we don't see to much in games.